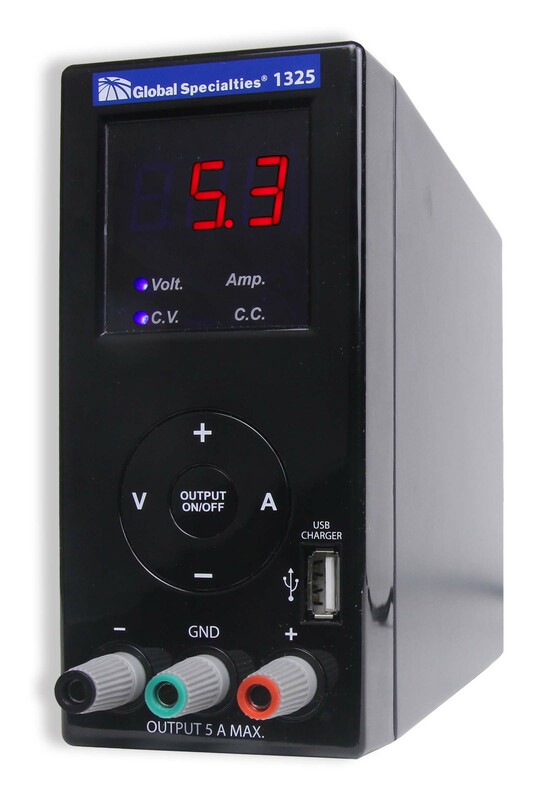 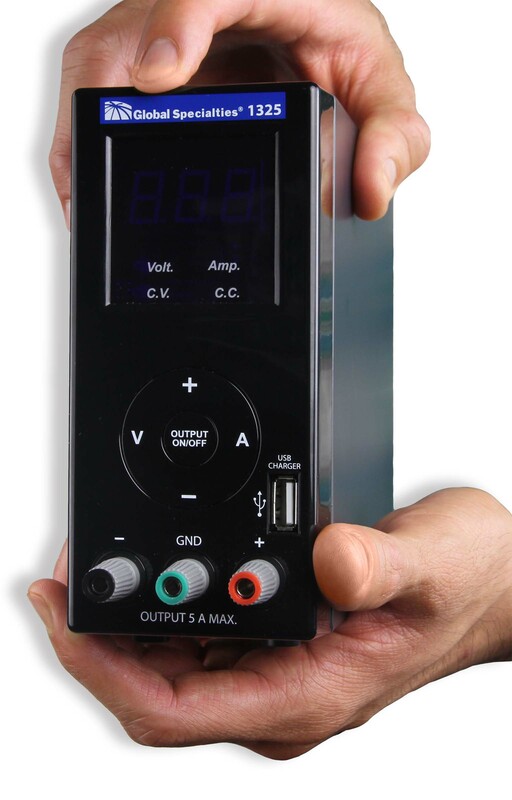 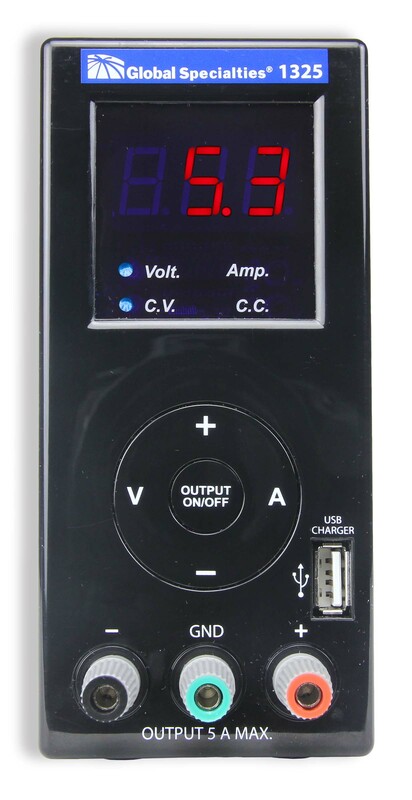 The 1325 is a high quality, cost effective power supply, ideal for use in education, industry, and hobby electronics. 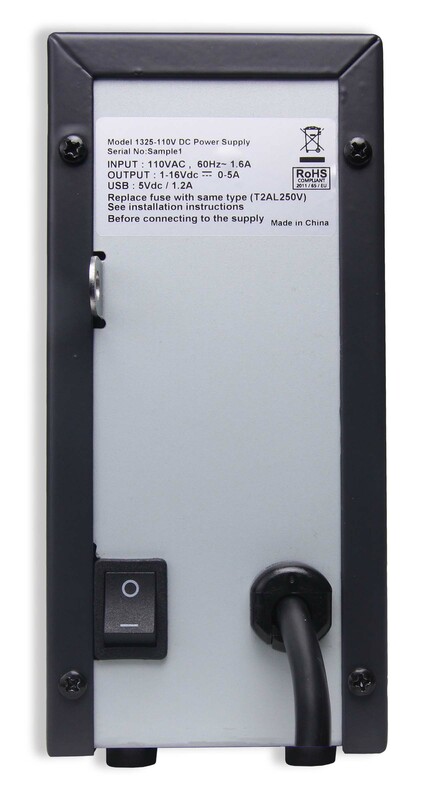 It offers easy to use design, excellent portability, quiet operation, and USB output perfect for charging most cell phones. 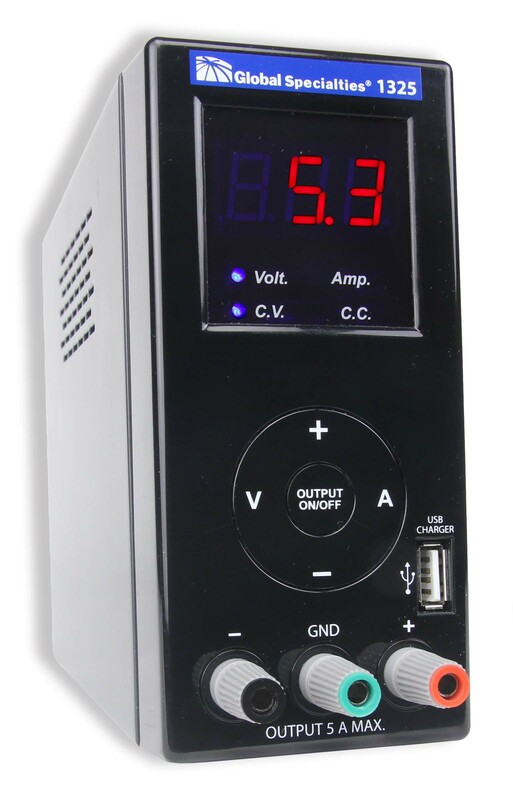 Use various combinations of the 80 watt power output by adjusting the voltage anywhere from 0 to 16 volts and the current from 0 to 5 amps.